I know technically its not one of the suggestions, but it was a long, long, loooong process of bunny trails to get to this cute conclusion! I had over 150 suggestions spread out over comments and emails and facebook and texts! Start picking out your style and fabric, lady, and drop me a line! Without her suggestion of "Aubergine" I never would have gotten this...I was super close to going with "The Aubergine Owl," but after trying it out on some coworkers and family I found most people either A) couldn't spell it or B) couldn't pronounce it. Which left me with one cute little owl looking for a description! 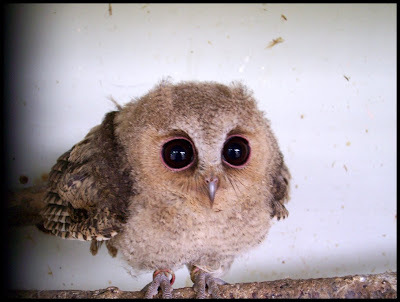 Have you ever seen a ruffled owl? They just look so mad its comical! Thank you so so so much for all your suggestions! Without them I would still be left scratching my head and hoping I didn't get sued over The Giggling Gourmet! Hope you all like the new name, and I've got a baby starter page (sooo not done!) over at The Ruffled Owl, with pages for the Fabric Choices and Apron Styles on the left hand side. If you'd like to make an order (they make great Christmas gifts! ), drop me a line! And I'll be revealing something else I made last weekend...but its a gift and I can't post it until I give it! You'll just have to wait! Lastly, this (by complete and utter coincidence) is my 100th post! 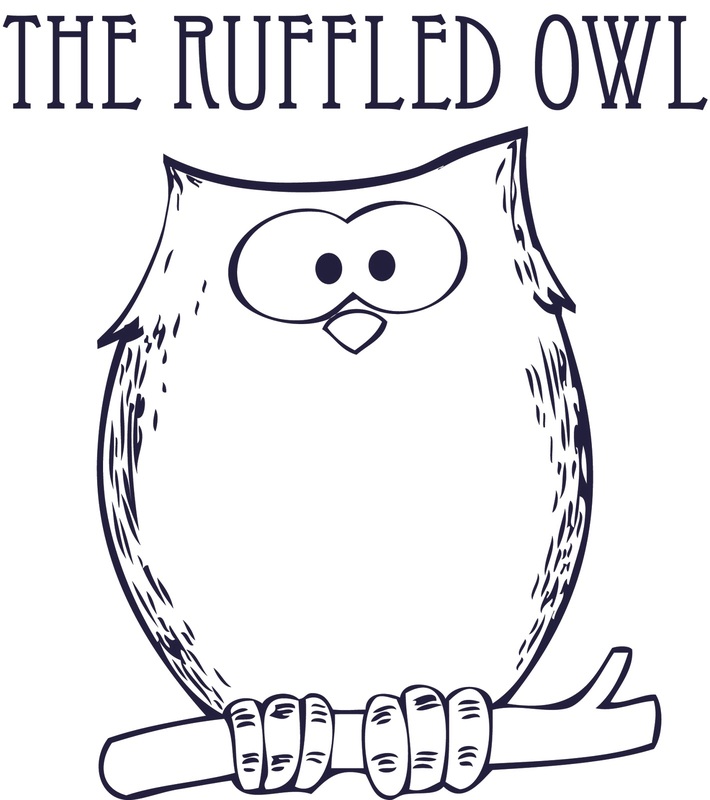 As a celebration the first person to comment gets a 50% off coupon for their very own Ruffled Owl Apron! And those of you who made a suggestions, keep an eye on your inbox for a special coupon! YES! love you kait... I'll be thinking about fabric... do you have swatches for me to pick from? xoxo hugs to you and matt... and roy. nevermind, i just found it. duh. And since Ashley already won an apron, there's still a 50% off coupon waiting for the next commenter! It's fate. 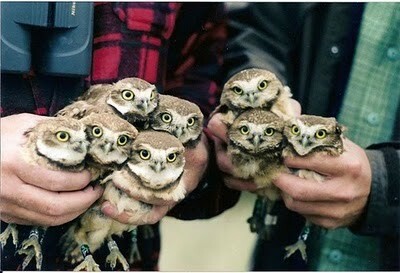 I just stumbled on your blog today, I love owls and I love to bake.